Your new Hialeah Gardens address may be just a few blocks away, but that doesn’t make moving any easier. Orange Movers local moving packages do, by giving you free boxes to get you started, storage solutions for extra stuff, and a discount on the price if your move is within a 100 miles. It is those little perks and extras that turn what is normally stressful into a care-free adventure. Ask your Orange Movers associate about the type of local moving package that meets your needs. Let us start by saying that if you have decided to move to Florida, you have made the right choice! 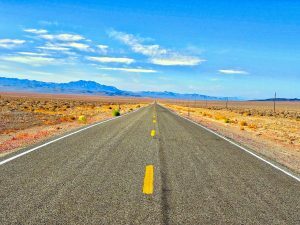 The benefits you will get after your upcoming relocation are numerous. 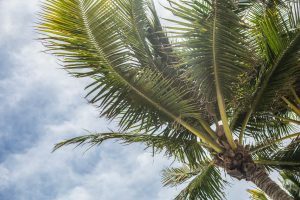 The constant sunshine, pristine beaches, amazing nightlife, as well as peaceful neighborhoods – it can all be found right here in Florida. Orange Movers Miami is a moving company with plenty of experience in the business, so you should trust us when we tell you that you are going to love it here. And, if by any chance you happen to be moving to Hialeah Gardens, you know what to do. Call our Hialeah Gardens movers and let us handle the difficult part of any relocation process for you. Our Hialeah Gardens movers will have no problem moving you to your dream home in the Sunshine State! Why choose Hialeah Gardens for your future home? First things first, we should briefly mention why you need to consider Hialeah Gardens for your new humble abode. Hialeah Gardens is a rather small city in the Miami-Dade County, and, according to the latest statistics, has around 22,000 residents. In case you are not sure that such a small city will be the right fit for you, think again. Small cities have a lot to offer, such as a sense of community and fewer crowds and traffic jams. Moreover, given its features, Hialeah Gardens is perfect for families, as well as retirees. It is worth mentioning that the city has worked a lot on its education system lately, so a couple of schools have been built since 2007. If everything we have just mentioned persuades you to move to this city, get in touch with our Hialeah Gardens movers! We are looking forward to meeting you. Which qualities do our Hialeah Gardens movers offer? Whether you are looking for movers North Miami Beach, or the ones in Hialeah Gardens, you need to know exactly what to search for. There are certain qualities every reputable moving company should have. So, without further ado, take a look at what we have to offer. Hopefully, you will find it to be more than enough. Our Hialeah Gardens movers are affordable. Even though we have been in the business for a long time, it does not affect our prices. Hiring us will not make a big dent in your family budget. We are reputable. As previously mentioned, we have been around for ages. During all that time, we have created a rather fine reputation for ourselves; one that sets us apart from other relocation professionals. Our movers Hialeah Gardens are efficient. We are highly trained movers, who are quick and efficient. Before you even realize it, we will have you relocated to your new residence. 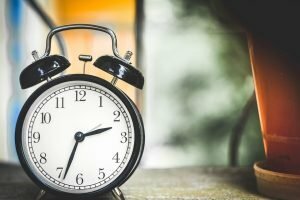 We waste no time because we understand how valuable your time is. In case you find these reasons enough to hire our movers, you know where to find us. Whether you want to contact us through our website or give us a phone call, we are eagerly waiting for you. Which services do our movers Hialeah Garden offer? For any moving company to be reputable, you need to be able to choose from a wide array of services they have to offer. Luckily, with us, that is precisely what you get. A variety of services, all created in an attempt to make the relocation process easier for you. If you were to ask any person what the worst part of relocating is, they would unanimously say the process of packing, and then soon after unpacking. Therefore, we have had that in mind when we created this service specifically designed to help you cope with your relocation. Whether you need us to pack your office or your home, you can rely on us! We will do the job from the very beginning down to the last box in the moving truck. Call us today and see why this is one of the most used moving services our Hialeah Garden movers have to offer. There are a lot of furniture pieces that require you to take them apart in order to transport them. These aforementioned items will have to be disassembled at your home and then reassembled at your new location. Moreover, it takes a lot of skill to pull this task off, which is why you should not try it on your own. An injury is the last thing you need on your moving day. Instead, opt for this moving service we are so proud of. After all, this is one of those things that show the real quality of a company. Sometimes you will need to relocate just down the block. Other times, you might even have to cross the state borders. No matter where you are moving to, and how far it is, we have got you covered. Rumor has it that interstate moves are more challenging than short distance ones. The chances are you will not be able to pull this one off by yourself. So, what should you do? By all means, you should hire long distance movers to carry the burden for you. And, it is common knowledge that we are one of the most reputable movers in Florida, which should make the process of choosing your movers that much easier. A long distance relocation requiers reputable and experienced movers. If you are moving to Hialeah Gardens, your choice of movers should be obvious. Our Hialeah Gardens movers are reputable, efficient and affordable, which is something not a lot of other moving companies have. And, not only do we possess the necessary qualities, we also offer versatile moving services. Therefore, you can choose between packing and unpacking, disassembly and reassembly, and short distance and long distance moves. We are here for whatever it is that you need. The only thing left to say is that we are looking forward to meeting you and working with you in the near future! Each Hialeah Gardens home is as unique as the people who reside inside. When making your local moving plan with Orange Movers, we work hard to find a package that meets your specific needs in your estimated price range. Planning for a commercial relocation is not an easy feat, even for the smallest of business operations. Get started today with the local moving company that knows everything there is to getting a business broken down on one end of town, and set back quickly on the other. Whether it be a big and heavy credenza, or a small collection of valuable art, every move we make has something special to contend with. Talk with our reps about oversized or valuable possessions that you are concerned about, and they will alieve any anxiety you have about moving them. 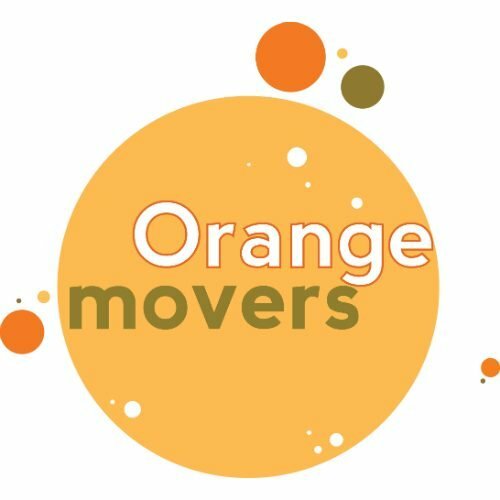 How Does Orange Movers Stack Up Against The Do It Yourself Movers? Orange Movers recognizes that you have options for a local move in Hialeah Gardens. Maybe you’re comparing us to a pod in your driveway or to the cost of just a rental truck. Keep in mind that the pricing for these options is not all inclusive. Your time to pack is not estimated nor is the cost of replacing items that get ruined by non-professional care. There is a science to local moving and a required expertise that is incomparable to taking it on yourself. It’s easy to forget these simple good business tactics until you are in the midst of your move. Yet honesty ensures an accurate price quote, trustworthy means your items are carefully preserved and on time takes the stress out of moving. Orange Movers encompasses all of these business practices, and more, to give you the relaxed local moving experience you deserve. You are not going to find another South Florida moving company that puts as much effort into your move as we do. The unforeseen expenses to move can make your head spin and your wallet empty. At Orange Movers we pride ourselves on offering in-home quotes and binding contracts that at least eliminate one of the moving cost question marks. Not only will all of the costs to you be carefully detailed, you’ll have a complete understanding of the services being provided. Time and again we are praised for our moving budget friendly pricing. Do a quick quote online now to get a better idea of just how much Orange Movers can save you on a local move in Hialeah Gardens. Not Enough Room for All of Your Stuff? Maybe you are downsizing to a smaller apartment, or having an unexpected delay in the closing of your house. Whatever the reason, We can provide you with a secure storage space for all of your belongings. Our modern storage facility has space available for short and long term keeping of all your most precious possessions. In our dry and secure indoor storage area, you don’t have to worry about theft or damage from the elements. Each portion is climate controlled, creating an environment that mimics the inside of a home. This is an excellent way to keep your stuff safe while you’re waiting for your own space to keep it in. Shabby packing leads to broken glass, and inefficient lifting can lead to a broken back. Moving is a precision business, and you want a crew that is knowledge and prepared to take on yours. Orange Movers shows up with all the right packing equipment and the correct methods to load boxes, keeping your possessions intact and everyone’s back straight.